We are going to take a break from our Back to Basics series to address a few timely issues. At the beginning of every year, I send each of my clients a tax organizer to assist in gathering all the information necessary to complete the tax returns in an efficient manner. The tax organizer is customized for the client and includes his or her prior year amounts for comparative purposes (and it serves as a great memory jogger so nothing is left out). There is also a questionnaire to assist in alerting us to items that may not occur every year, but that may be present in the current year. I also ask clients additional questions about the status of things like their estate planning, retirement planning, assets, debts, insurance, health care directives, etc. in order to ensure that they are thinking about these important issues each year. Behind the scenes this translates into moments of, “Oh, yeah, I remember these yellow sheets with the small scribbles from the past – now where did she put the real estate taxes again?” And then if there is staff involved, there may be an additional conversation, “Okay, now here is what you need to know about how Mrs. Jones organizes her information…” Since time is a precious commodity, the more of it that is used in the process of assisting you, the higher your bill is going to be. With some firms, you will see this reflected in your bill each year. In other firms, your pricing will be more consistent, but will trend higher or lower as a result over a period of years. Ask yourself, is the firm going to be faster at learning, remembering, and extracting information from hundreds of different client systems with information in different orders, or from one system which is perfectly ordered with its software and that it knows backwards and forwards? You can minimize the fees related to data collection and entry, and just spend your money on the real value of strategy in preparing the returns. That said, maybe it is worth it to you to keep doing it the way you have always done it. A CPA firm is generally going to be intelligent enough to figure it out and let you know what is unclear or what else may be missing in most cases, it just might cost you a little more, and have a little more risk associated with it. In addition to the organizer each year, I send clients an engagement letter for services to be provided, a limited tax power of attorney to speed up the process in case we need to resolve an issue on a client’s behalf, and an additional organizer letter. The organizer letter explains new tax developments over the past year, as well as revisiting issues from prior years that remain important and still somewhat fresh. This year’s organizer letter was six pages long. I don’t expect clients to necessarily read it all, but it is laid out in an easier manner to skim the topics and see what might be important to read further. The IRS took a clear position this year that businesses sending 1099 forms this January must send them to LLCs as well, unless the LLCs have made a special election to be taxed as a corporation. Fees for not properly sending 1099s have doubled. President Obama signed a new law this year that requires anyone claiming education credits or education deductions to have a 1098-T when filing their tax returns. The PATH Act (Protecting Americans from Tax Hikes) was signed into law on December 18, 2015. This was the extender bill for this year which we have grown accustomed to getting at the last minute each year from Congress. Some notable provisions made permanent include the sales tax deduction as an option in lieu of state income taxes, the IRA‐to‐charity exclusion, enhanced child tax credit, enhanced American opportunity tax credit, enhanced earned income tax credit, above‐the‐line deductions for qualified tuition expenses, the section 179 depreciation deduction for up to $500,000, built‐in‐gains holding period of 5 years for s‐corporations, and enhanced exclusion of gain on sale of small business stock. The qualified tuition deduction, mortgage insurance premiums deductible as interest, and exclusion of income for debt on discharged principal residences where extended through 2016. Bonus depreciation and first‐year bonus depreciation on automobiles was extended through 2019. Several tax return due dates are changing affecting 2016 returns (not 2015 returns) – due dates for partnerships move to March 15, c-corporations move to April 15, and FinCen 114 for foreign bank accounts move to April 15 and are now eligible for a six month extension. The new capitalization and repair regulations of 2014 were modified to allow taxpayers to have a capitalization policy of $2,500. This means businesses can now deduct any item $2,500 or less as an expense without having to include it on a depreciation schedule or take a section 179 deduction for it. You do not even have to have a written policy to this effect, but you do have to make an annual 1.263(a)-1(f) election on your returns each year to do this. Watch for 1095-A, B, and/or Cs this year as they will be much more prevalent and will be needed in the preparation of your tax returns to ensure you meet the health care insurance requirement. Last year was lax. This year the noose has been tightened. If you did not have health insurance for all or part of the year, be aware, some exemptions from the health insurance mandate require you to apply to Covered California to get an exemption for use in your preparation. In other words – get moving! In order to prevent people in higher tax brackets than their children from shifting money into their children’s names in order to pay tax at a lower rate, “Kiddie Tax” rules were enacted. The government also allows you to simplify reporting in some cases where filing a separate return for children with a small amount of income is burdensome. The quick summary is that if your child has less than $1,050 of unearned income (and assuming there is not enough earned income to trigger a filing requirement), there will be no tax paid on the unearned income, and nothing to file. If there is over $1,050 and $2,100 of unearned income, the amount will be taxed at the child’s rate. In this case , the child can file his or her own tax return or the parent has the option of filing a Form 8814 – “Parent’s Election to Report Child’s Interest and Dividends” to avoid filing a separate return for the child, and just report the tax on the parents’ return. If the child has over $2,100 of unearned income, the parent can still file either way, but the amount over $2,100 will be taxed at the parents’ rate. If the parents elect to file on their return using Form 8814, the calculation to tax at the parent’s rate for the income over $2,100 is included on that form. If a return is filed for the child, instead, then a Form 8615 – “Tax for Certain Children Who Have Unearned Income” will need to be filed with the child’s return to perform the additional tax calculations. Unearned income is defined as interest, tax-exempt interest, dividends, capital gains distributions from mutual funds, net capital gains from sales, rents, royalties, taxable Social Security or pension benefits, taxable scholarships, unemployment income, alimony, and the like. Note that capital gains distributions come from mutual funds, and they represent your share of the buying a selling inside the mutual fund which you have no control over. The short-term sales actually get reported as dividends, and the long-term sales get reported as capital gains distributions. Net capital gains would be the aggregate of your gains and losses from the direct sale of a particular stock or bond, or the mutual fund itself in your account. As summarized earlier, if your child has over the $1,050 of unearned income, you may wish to simplify and not file a separate return for the child. The parents may elect to file (with the parents’ tax return) a Form 8814 – “Parents’ Election to Report Child’s Interest and Dividends” if the child’s only unearned income was from interest, dividends, and capital gains distributions (note that rents, scholarships, unemployment, etc. are not included) and his or her gross income is less than $10,500. Otherwise you have to file for the child. There are a few other requirements as well which you can read about in the instructions to the form. The first $1,050 will not be taxed, but the rate on the child’s income between $1,050 and $2,100 will be ten percent. The amount of tax is transferred from the bottom of the Form 8814 and added to the parent’s tax on Line 44 of Form 1040. Keep in mind, that in some cases, you are better off still filing the child’s tax return even though you have the option to report it on your return, due to other tax incentives and credits the child may be eligible to receive. If the child has over $2,100 of unearned income, the parents can still elect to file the child’s return with their return. If they decide to file a separate return for the child using Form 8615 – “Tax for Certain Children Who Have Unearned Income,” the form will take the parent’s taxable income and add to it the child’s taxable income. Using this combined amount the appropriate tax bracket is used to determine the additional tax related the child’s portion of the income. This amount is added to Form 1040 Line 44 of the child’s return as additional tax, and the Form 8615 is attached to the child’s tax return. 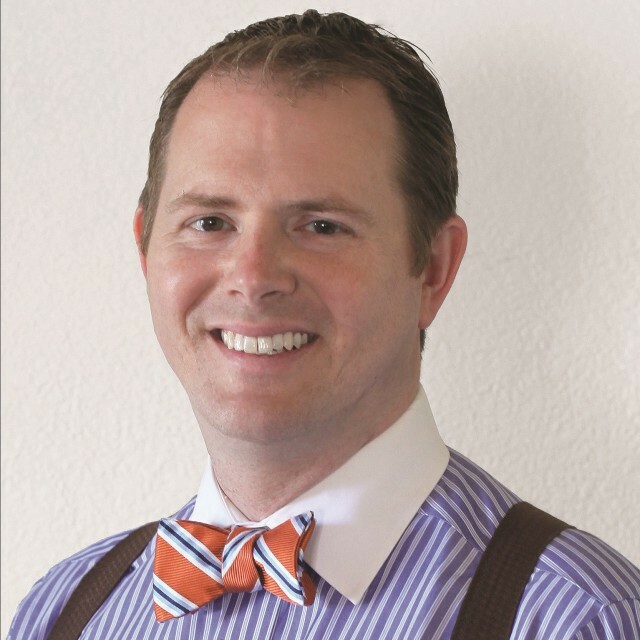 Listen to Travis H. Long, CPA, featured on San Francisco based accountingplay.com, a resource for accounting students and those looking to get into the accounting field. Let us assume you are ready to sell a personal residence or a rental property that you have held for many years and it has increased substantially in value from the time you purchased it. If a buyer comes in with all cash or obtains a loan from a bank to buy the property from you, you will recognize the full gain in the year of sale since you get paid in full in the year of sale. This will skyrocket your income in the year of sale and reek havoc on your taxes. Even though the gain from sale will be considered a long term capital gain, having too much in one year could subject part of the capital gain to a 20 percent rate instead of the normal 15 percent rate. It will also make your adjusted gross income much higher. This will in turn effectively increase your tax on other income since many deductions and credits phase out based on your adjusted gross income. You could also hit an additional 3.8 percent tax on investment income which you may not have been subject to without the sale. There could be a lot of negative effects. Spreading out income over a period of years is generally a more tax efficient strategy than having one banner year. So how can you avoid this? An installment sale, given the right circumstances, is your answer. With an installment sale, you are basically telling the seller to pay you over a period of years instead of all at once. Of course, you are generally going to want some interest from the buyer as well if it is going to take a period of years for them to pay you off. With real estate this often takes the form of a seller financed mortgage. You are basically the bank. In this scenario, you get to spread the taxable gain out over a period of years, thus not creating a bunch of extra tax due to a banner year, and you also create a nice stream of interest income for a period of years. The flip side is that you bear the risk of having to foreclose or repossess if they do not make good on their payments. Also, should you suddenly need the money from your loan to the buyer, you may have to sell the note at a discount to someone else to get your cash out. If you choose an installment sale, generally a portion of each payment to you will be interest income, a portion will be capital gain, and a portion will be nontaxable return of basis. Assume you bought a second home years ago for $400,000 and you find a buyer willing to pay $1 million. If they pay all cash or get a loan from a bank to pay you on the closing date, you have $600,000 of taxable capital gain that year and $400,000 nontaxable return of basis – that is a 60 percent gross profit. Let us assume instead they give you a $250,000 down payment at the time of sale and you loan them the remaining $750,000 with a 15-year amortized note. The payment will be about $6,000 a month with roughly half of each payment consisting of principal and half of interest in the early years. The interest will be taxed as ordinary income as received. The down payment and the principal portion of all future loan payments will be 60 percent taxable capital gain and 40 percent nontaxable return of basis until the loan is paid off. This is a wonderful way to defer taxation of the capital gains and spread it out over a period of years. The mechanics of reporting an installment sale play out on Form 6252. The above example is the most basic version of an installment sale, but after reviewing the Form 6252 you will see some complicating issues which could come into play depending on the circumstances – such as sales to related parties, sales of depreciable assets subject to depreciation recapture, and buyers assuming debt(s) of the sellers. If you dig into the instructions as well as Publication 537, dedicated to this topic, you will quickly realize that installment sales can become extremely complicated, and there are a lot of special rules to follow depending on the circumstances since the deferral of tax is enticing and could otherwise be abused. Installment sales that involve like-kind exchanges, contingent sales, sales of businesses, securities, or other things through the installment method, unstated interest rates in the loan term, dispositions of an installment sale, etc. all add additional complications. Since installment sales require a higher risk tolerance for the seller, you often see them between related parties where trust is greater. There are can be some unfriendly rules for such transactions. You should consult with a tax professional prior to entering an installment sale with a related party. The form itself is a one page form. The beginning asks general questions about the property including several on related party issues. Part I of the form deals with calculating the gross profit percentage and the “contract price.” Note that the contract price is not necessarily the sale price you agreed to, but can be affected if the buyer assumes or otherwise pays off any debt of the seller. This section is only completed in the year of sale. Part II deals with sorting out the capital gains versus ordinary income, versus recapture income and applying the gross profit percentage to the payments received each year. It is prepared each year. Part III deals with specifically with related party transactions and necessary recalculations in certain of those circumstances.